The TS128MSD64V3A is a 128M x 64bits Double Data Rate SDRAM high-density for DDR333. The TS128MSD64V3A consists of 16pcs CMOS 64Mx8 bits Double Data Rate SDRAMs in 60 Ball FBGA packages and a 2048 bits serial EEPROM on a 200-pin printed circuit board. The TS128MSD64V3A is a Dual In-Line Memory Module and is intended for mounting into 200-pin edge connector sockets. Synchronous design allows precise cycle control with the use of system clock. Data I/O transactions are possible on both edges of DQS. Range of operation frequencies, programmable latencies allow the same device to be useful for a variety of high bandwidth, high performance memory system applications. We guarantee the best memory performance of its category. 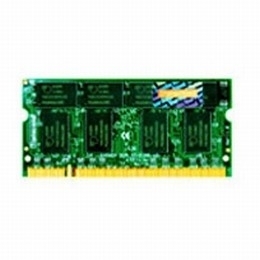 This memory complies with the JEDEC industry standard We supply lifetime tech support by phone or email for this product.